In Loveland’s history of artistic expression, the medium of metal holds strong. Whether cast in bronze, blacksmithed in iron or carefully created in gold or silver, the work of many Loveland artists takes form from hot metal. In 2004, after one year of teaching at University of Wyoming, Assistant Professor Ashley Hope Carlisle built an iron casting furnace to teach her students how to make varying scale sculpture utilizing scrap iron. With a little elbow grease and a team mindset, they accomplish a unified goal – to make art as a way to communicate with the world all around them. Join the UW art department as they pour iron for Museum visitors. 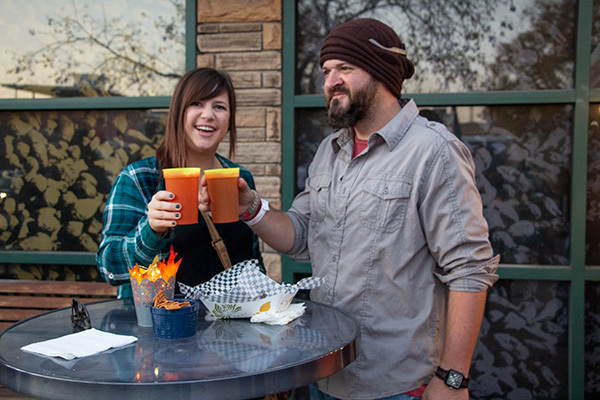 Enjoy locally crafted beer and food during this fall-welcoming beer garden event. Enjoy locally crated beer from Verboten and food, and make some of your own found-object metal art in this fall-welcoming beer garden event.